You want to start by reading the newspaper and then sunbathe for a while? No problem! 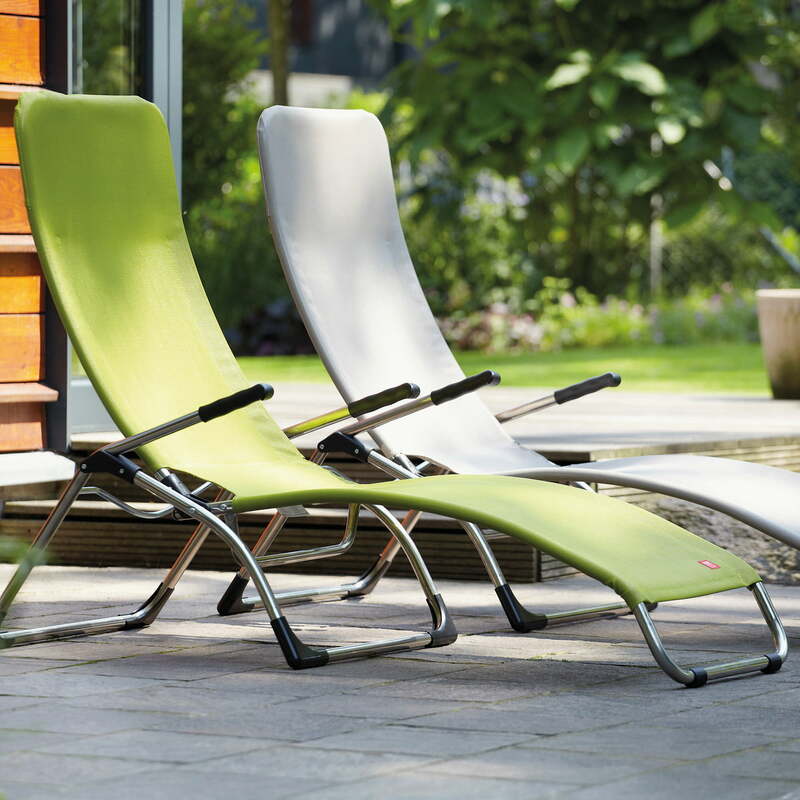 The Samba lounger by Fiam serves as a folding chair as well as a sun bed, since it can be adjusted to sit or lie down. The two adjustable positions ensure comfortable moments without any effort. 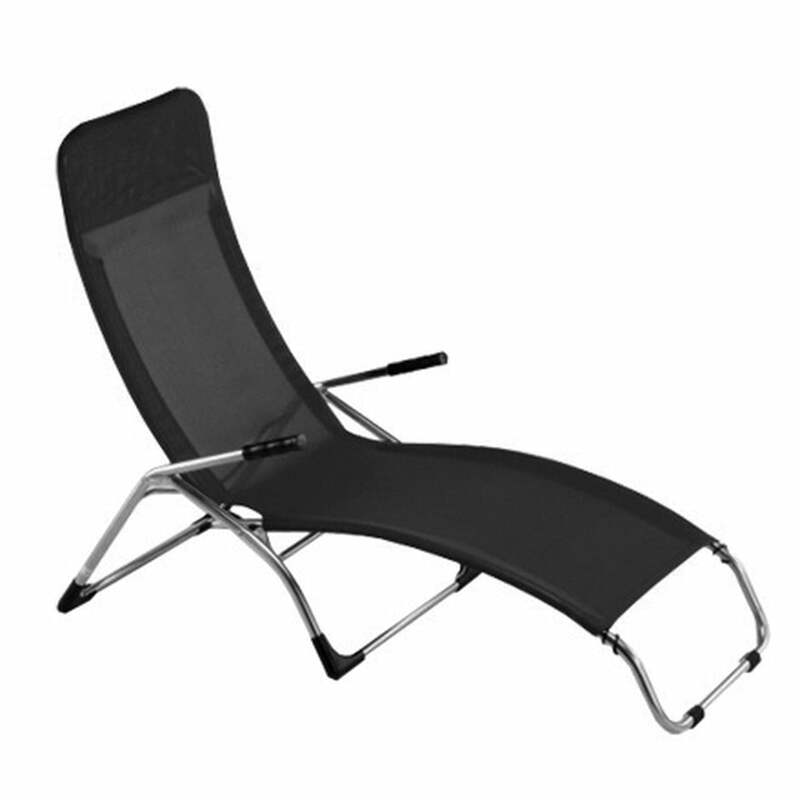 The sunbed's frame is made of aluminium, so it is light and easily folded. 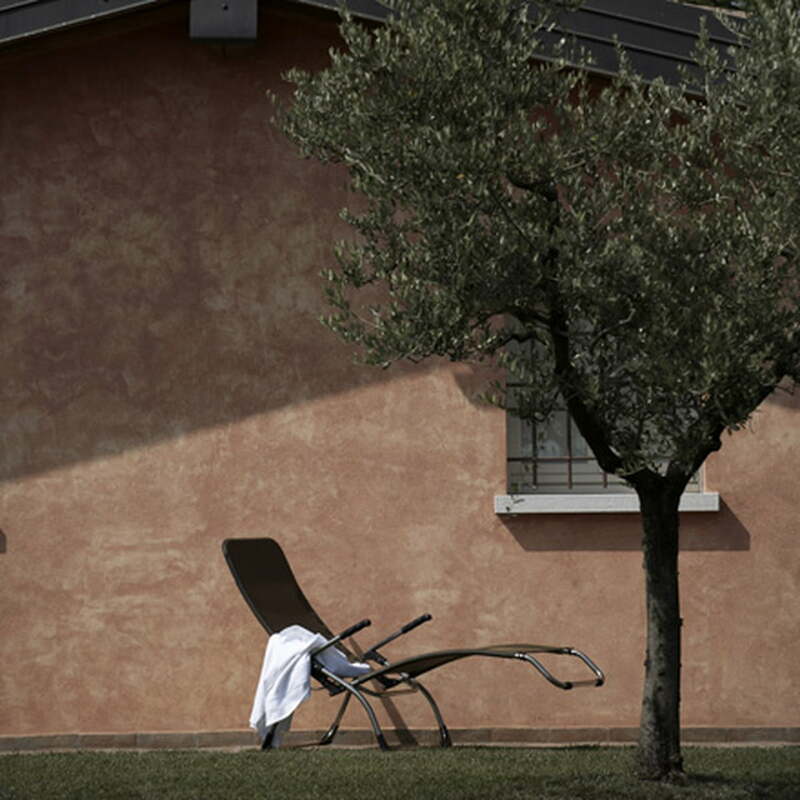 The cover of the Fiam lounger is made of Textilene, a high-tech fabric which is weatherproof and UV-resistant. Textilene is so flexible and breathable that you are guaranteed comfort, whatever position you choose to be in. In addition, this modern textile is easy to clean. A neck pillow, a terry overlay and a sun-cover are also available to complete your sunbed. 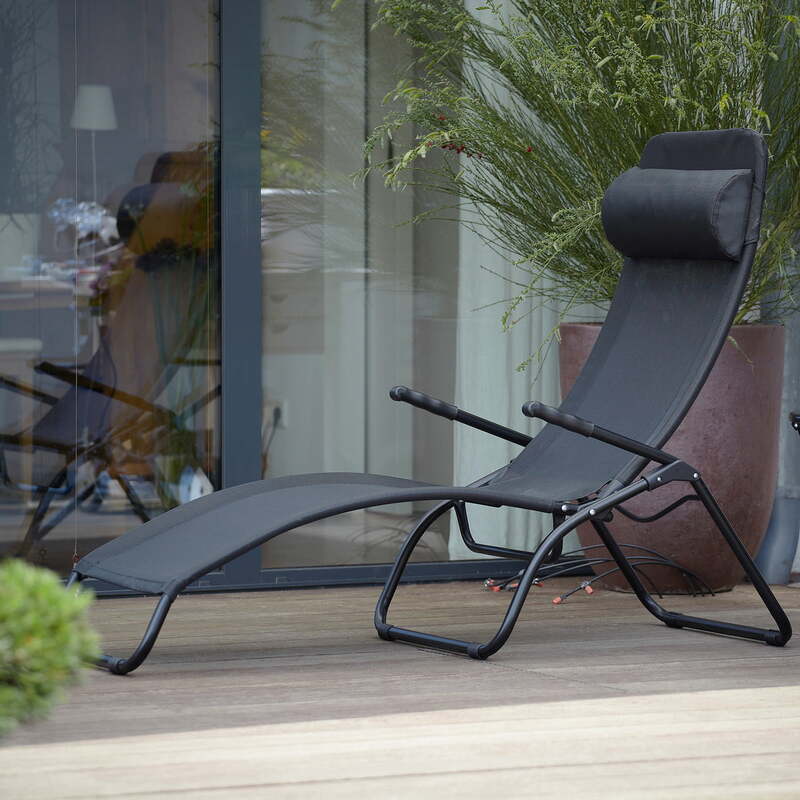 The Fiam terrace lounger Samba is available with a steel frame in different colours and with other fabrics in several shades. 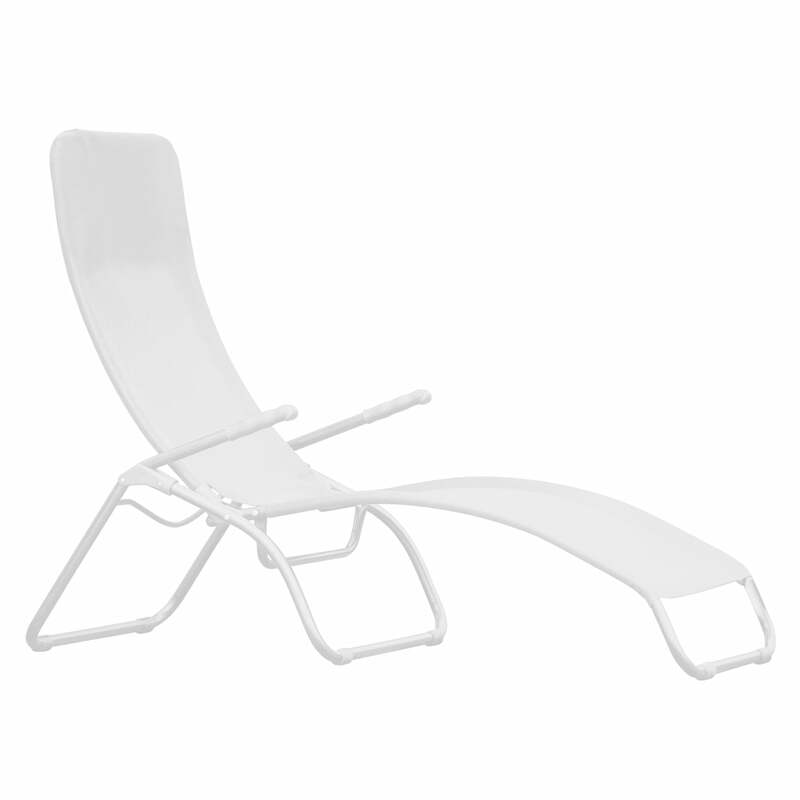 Image of the Samba terrace loungers by Matthias Philipps for Fiam. 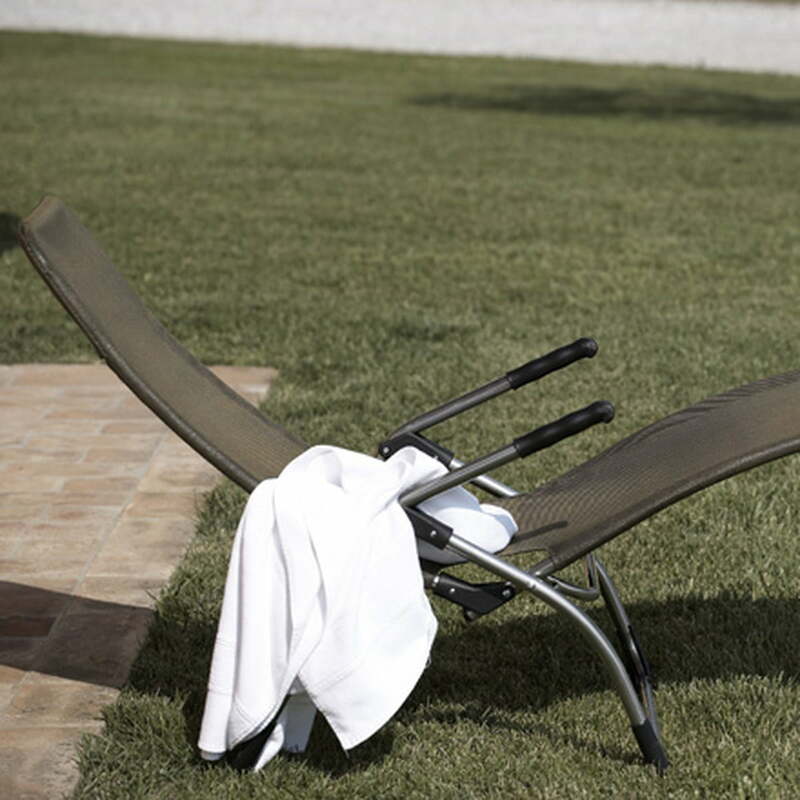 The frame of the sun lounger is made of aluminium, so it is light and can be easily folded.